In an independent study by King’s Daughters Medical Center (KDMC) of 22 females aged 30-57, the Sprint 8 program showed a collective body fat reduction of 27% and a BMI decrease of 4%, all within 8 hours of exercise during an 8-week trial. Participants were asked to complete the 20-minute HIIT workout three times per week for 8 weeks, with no specific diet. Participants were free to do their anaerobic interval training on upright or recumbent stationary bikes, treadmills, elliptical trainers or a combination throughout the study. KDMC obtained a panel of lab tests pre- and post-Sprint 8 trial for baseline measurements. This study concludes that when done regularly over just 8 weeks, the Sprint 8 program can produce real results for real people. Read the White Paper and see how Sprint 8 surpasses expectations. A certified trainer with the American College of Sports Medicine, Phil Campbell works with athletes to improve speed and agility. The also spent two decades of his career as a senior hospital administrator. His familiarity with the healthcare system and his access to renowned researchers and scientists enabled him to optimize the Sprint 8 short HIIT workout to achieve maximum results. There are two realistic ways to reverse this process: injecting growth hormone into the body (this can be expensive and side effects are unknown), or naturally by stimulating growth with high-intensity cardio exercises like sprint intervals. Sprint 8 attacks somatopause at its core — for just 20 minutes at a time — to combat it naturally. 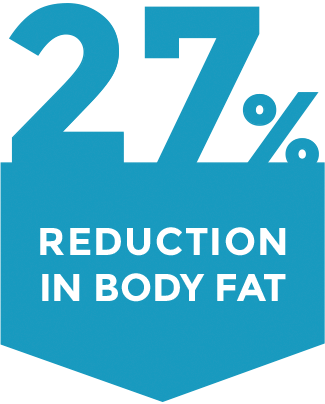 This means that after three 20-minute HIIT workouts for 8 weeks, research study participants had significantly changed their body composition by reducing body fat and lowering “bad” LDL cholesterol levels. All exercise is beneficial for the body, but not all exercise is created equal. Traditional exercise, such as going out for a jog or taking a long walk, will burn calories but won’t generate significant growth hormone production. Neither will the heightened but still moderate levels of exertion of basic HIIT workouts. In most HIIT programs, trainers ask you to do an exercise for 45 seconds or more, often with a very brief rest period in between exercises. This means you’re not reaching your threshold in every interval. Our high-intensity cardio exercises go one step beyond HIIT. With Sprint 8, each 30-second sprint must be performed with all-out intensity. As a result, your RPMs should decrease as you get to the end of your 30-second interval as your fast-twitch muscles fatigue and your slow-twitch muscles take over. Sprint 8 is specially designed with 90-second recovery intervals. The balance of 30 seconds of true intensity and 90 seconds of recovery is the ideal ratio, and can lead to a healthier weight and BMI. THE SIMPLE BEAUTY OF SPRINT 8: YOU WILL NEVER ADAPT TO IT, BECAUSE AS YOUR FITNESS LEVEL RISES, SO DOES THE DIFFICULTY LEVEL. YOU’LL NEVER OUTGROW SPRINT 8 BECAUSE THE GOAL GROWS WITH YOUR CAPACITY. If you’re ready to reduce body fat, lower bad cholesterol and start a new fitness journey, it’s time to get Sprint 8. 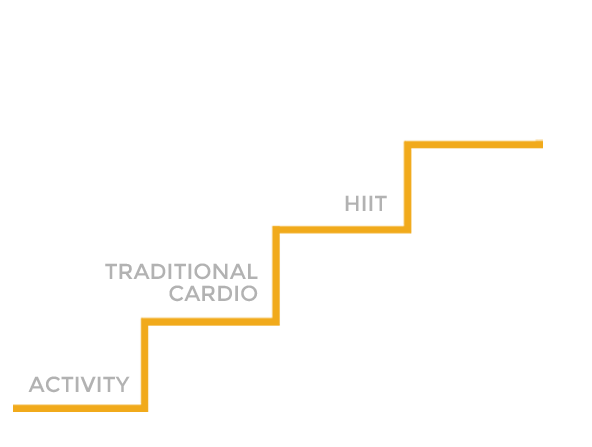 Browse cardio products with the Sprint 8 program to get started.